We have a skateboard ramp on the playing field. 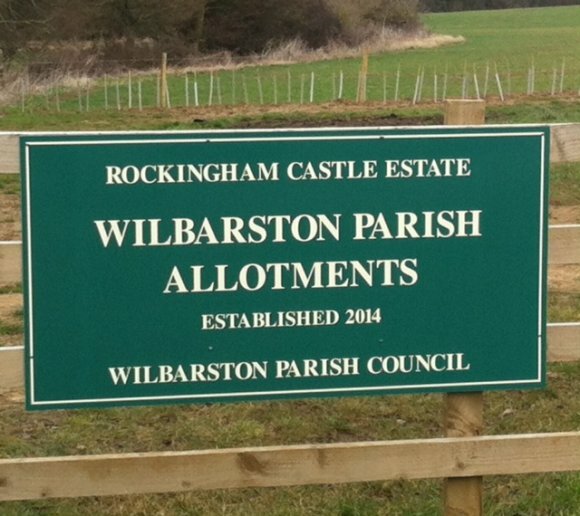 Wilbarston Parish Council provides your local services. We strive to make Wilbarston a better place to live, work and visit. Our website includes a wealth of information about how we conduct business and what we do. Use the search or browse the site to find whatever you are looking for. If you can't find the information you require then please contact us. Wilbarston is a pleasant village which enjoys panoramic views of the surrounding Welland Valley countryside. It contains a mix of development styles and phases but retains a distinct historical core of traditional buildings which characterise the majority of the village. The village's facilities include a school, shop / Post Office, village hall, open space and pub. Streets are generally closely lined with continuous built form (buildings or boundary walls) giving a strong sense of enclosure. Most buildings are parallel to the street, but some are gable end on. Frontages are densely packed, with long ranges and gardens behind. Typically the built form tightly encloses the street on one side, and is set back on the other in a staggered arrangement. The agricultural heritage is clear and rural mews and historic farmsteads form distinct character traits, with buildings frequently clustered together or set in linear ranges running parallel or at 90 degrees to the street, forming small linear yards. Common to all historic areas is a limited palette of materials – ironstone and limestone, often in coursed bands with limited areas of render. Brick buildings are less common but are in soft reds. Roofs are generally of slate or stone slate, and thatch. Views in Wilbarston combine an interplay between open expansive views of the landscape, particularly to the north and west, and tight controlled views along historic streets, for example Barlows Lane. Historic development is generally better related to the streetscene with buildings fronting onto and defining the streets. More recent developments tend to be set back and arranged in inward looking cul-de-sacs and are less reflective of the local vernacular. Wilbarston has a Parish Plan which has been adopted by the Council as informal policy. The Parish Plan has been used to inform the preparation of this document. XHTML 1.0 validated. WCAG compliant. Page generated in 0.11 seconds.